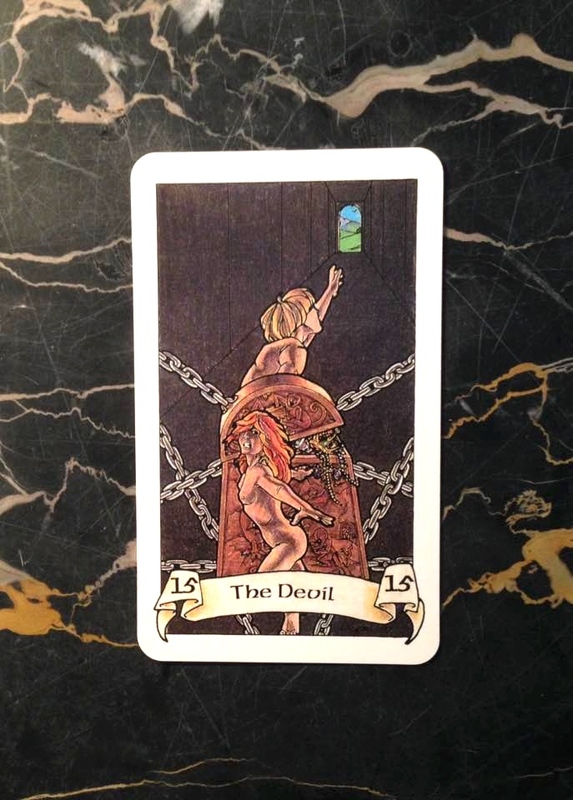 The Devil comes up today to warn you that you’re stuck in a destructive pattern of negative thoughts. It’s true that in this current world situation, there are many things that cause fear, anxiety, and anger. It’s normal to feel some of these emotions in reaction. But you shouldn’t allow them to take over your life and trap you. They are like dark clouds that collect in your mind and blot out the life-giving sun. Instead, make a conscious effort today to direct your thoughts to whatever you have in your life that makes you feel love and gratitude. This will help disrupt the pattern of negativity. If you train your mind to shift its focus to these positive feelings whenever you’re faced with an onslaught of negativity, you’ll soon break the chains that hold you down.